Sydney-based manufacturer Sevaan Group has been approached by Australian innovators ironskinn to assist in the roll out of an armoured wetsuit for protecting commercial divers, SCUBA divers, free divers and those into serious spear fishing. 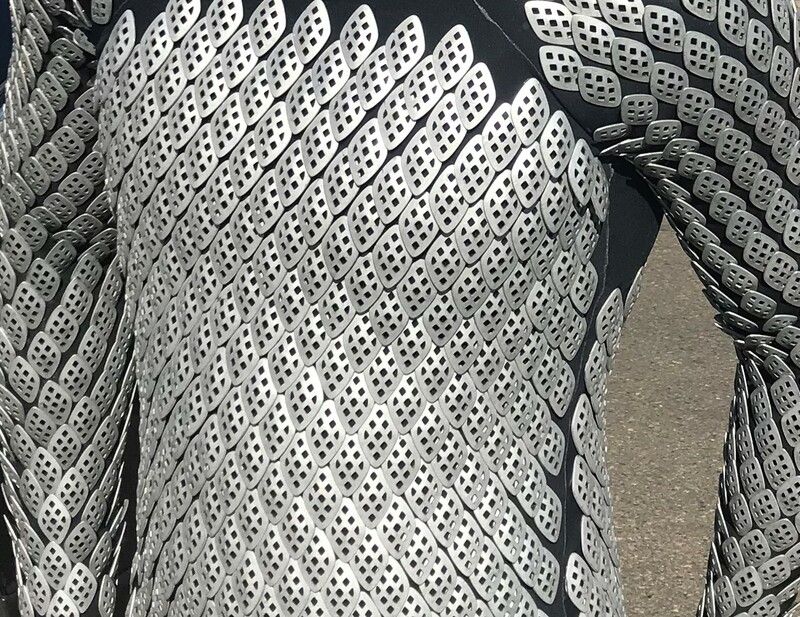 Made of extremely tough aluminium platelets held together by an elastic in-form setting, the ironskinn dive suit is designed to protect divers from a wide range of marine hazards such as an unexpected shark bite, oysters, mussels, barnacles and rotten metal from boats when working on them underwater. The platelets are rated as being harder than shark teeth, which means that an individual wearing the Ironskinn would likely sustain a scratch rather than a lost limb in the event of a bite from a regular sized shark. ironskinn Managing Director Mr John Sundnes said Sevaan Group was handpicked ahead of ‘sizeable international competition’ for a number of different reasons, with one being its ability to interpret the requirements and set up CAD and manufacturing sequences to make the concept a physical reality. “A lot of fine tuning was required and they were up for it; unlike other companies we approached whose attitude was ‘when you have a need for 100-offs then call us’. Sevaan Group Managing Director, Mr Jim Tzakos, said they initially analysed and provided costings for the prototype manufacture, and then proceeded to come up with a new design at a particular price point. “But a key designed principle was that the platelets are made so the suit doesn’t get in the way of kinetic movement of humans in the elbows, knees, hips etc.,” Mr Tzakos noted. Mr Sundnes said Sevaan Group has been the perfect partner to help get the product over the line. “The other thing for us was we looked at many potential manufacturers overseas and saw there was concern over intellectual property protection, so it made sense to use an Australian company to protect our intellectual property,” he explained. “What we are making also needs a high degree of quality because if it is made wrongly it just won’t work. The suit is currently on a pilot program with some professional divers before going for commercial sale.